First, let me say that I know it’s been a minute since my last blog post. I am such a perfectionist that I don’t ever want to rush to post something just to post. I want my content to be meaningful. I reviewed a Ouidad product recently but for my birthday I treated myself to a Ouidad cut and style at a local Ft Lauderdale salon. I had read up on the carve and slice technique on the Ouidad site and was fully prepared for my first “curly” cut in over a decade. But since the Brazilian treatment of 2008 I haven’t been rocking the straight look often. I learned to love my curls once I didn’t have them. Honestly, my only hesitation came from the cost. A girl who hates haircuts definitely doesn’t want to pay over $100 for one but I had a feeling that this Ouidad cut could be a game changer. Plus, it was my birthday. 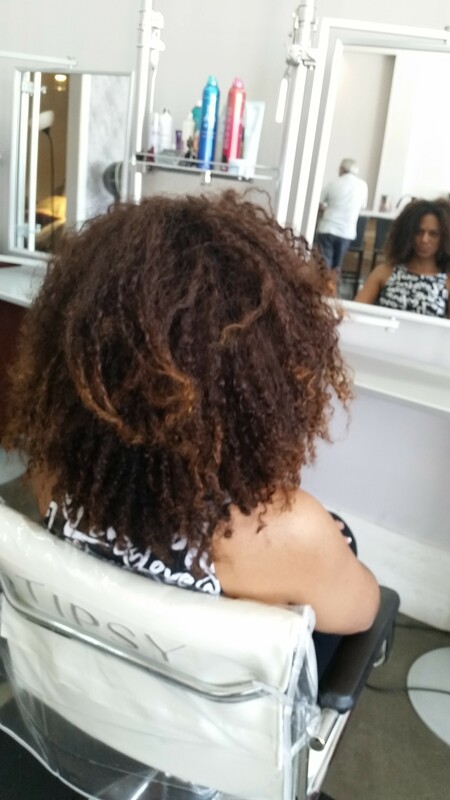 So used the Ouidad Salon Locator to find a stylist. 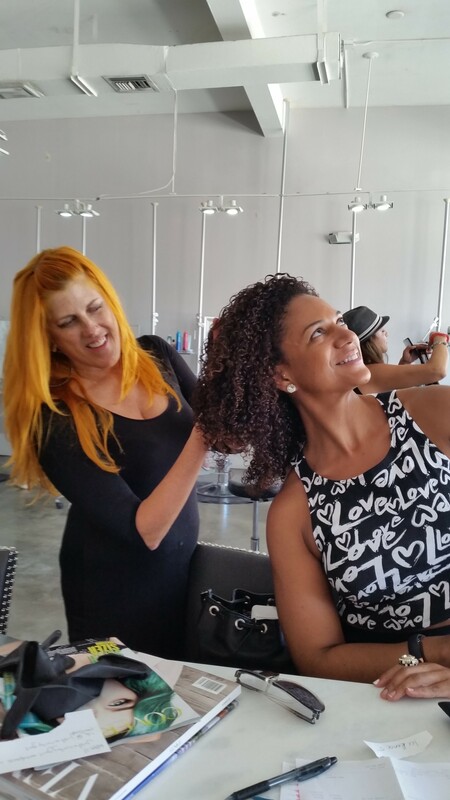 I settled on the Tipsy Salon (formerly Las Olas Beauty) and scheduled an appointment for a Ouidad Cut and Style. Price Tag: $120 Yikes! All I could do is pray that it was worth it. When I arrived the salon was under construction – the new owners were transforming the salon into their signature set up. Everyone was warm and friendly. 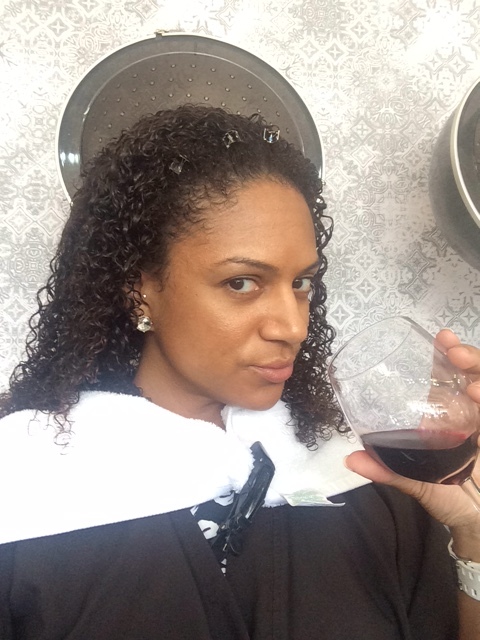 My stylist Leah sat me down to discuss my hair and the Ouidad process. 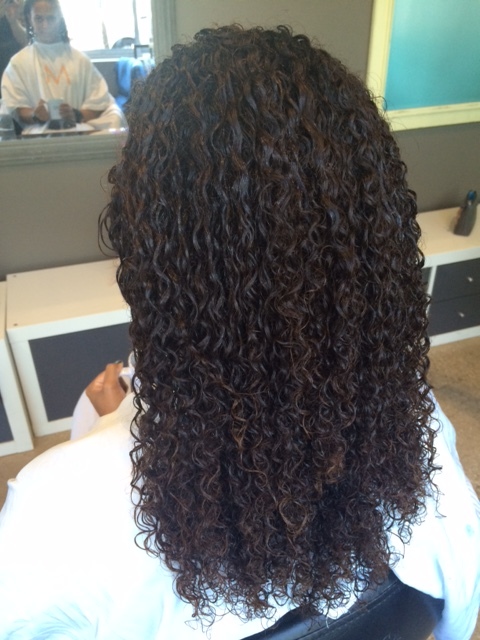 She had the shampoo girl use Ouidad Curl Quencher Moisturizing Shampoo followed by their Climate Control DeFrizzing Conditioner since we live in South Florida where humidity is NOT my friend. 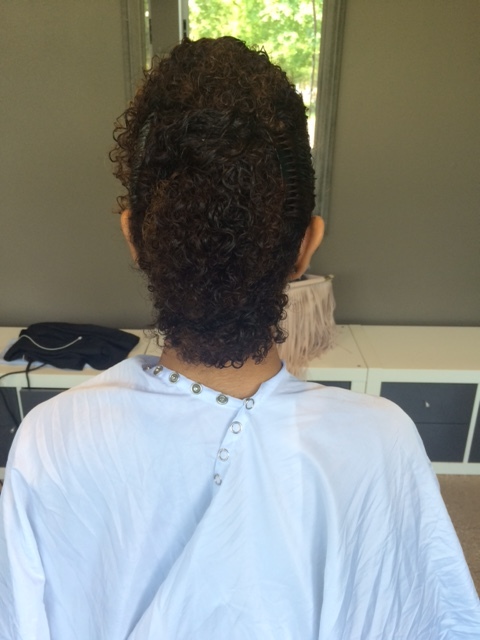 She then prepped my hair with Curl Recovery Whipped Curls Daily Conditioner & Styling Primer before began the carve and slice hair cutting technique. What I remember from previous haircuts, curly and straight, the goal was always to clip dead ends. 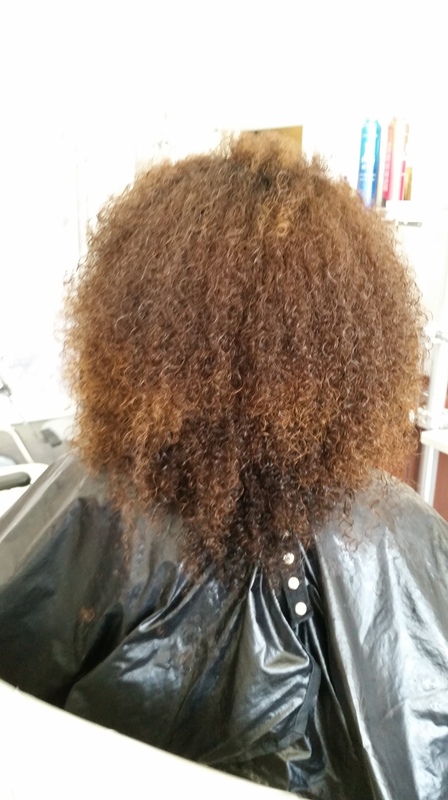 When curly the stylist would pull the section of hair tight to straighten before cutting with scissors. 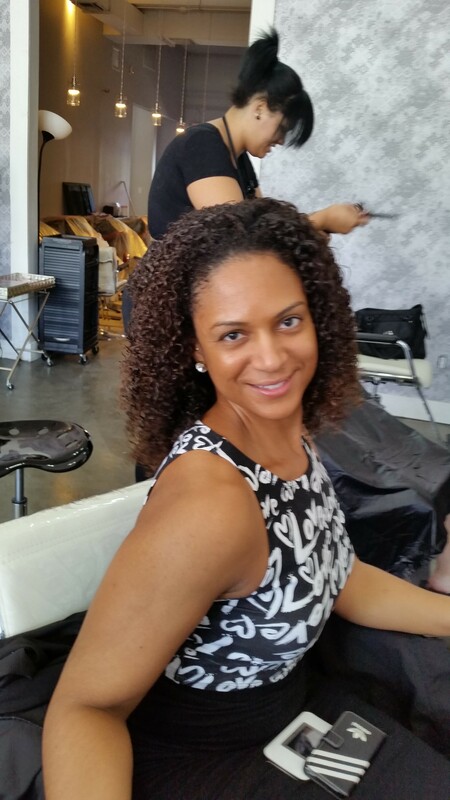 With the Ouidad Carving and Slicing method (see video) Leah analyzed my curls and carefully cut into the hair to remove bulk and allow my curls to fall naturally together. While I have had layers put into my hair before the end result after the Ouidad cut was by far the best haircut I have ever had. My hair had shape, still had volume and I didn’t lose length. Hallelujah! But my Ouidad experience was not over. Now it was time for the Ouidad style. Since I have tight spiral curls Leah proceeded to section my hair into small pieces and begin the Rake and Shake method. She spritzed my hair with water and then added a little more whipped curls to prep my hair. All my hair was piled on top of my head and then she pulled small sections to pull Climate Control Heat & Humidity Gel through the hair using her hands like a flat iron. She then separated the hair (Rake) and wiggled it loose (Shake) before laying it down not to be touched again. Check out this video for the Rake and Shake method on tight curls. You can also visit the Ouidad site for the styling of other curl types. The biggest thing I took from the Ouidad style session was to get product through my entire head of hair by taking the time to section and apply. I also learned to not touch the curls until they are dry. Leah used a diffuser to dry the hair but unlike how I used it in the past she held the dryer about 2-3 inches from my hair never letting the diffuser touch the curls. The correct way to diffuse your curls. Finally, once my hair was dry I was able to shake it out. My biggest concern about applying the method at home was the amount of time it took and the amount of product used. Now the curls lasted for close to 5 days but the cost (time and money) still concerned me. Since then I have used other products with the techniques and I can honestly I haven’t been able to achieve the same amount of definition while maintaining length. 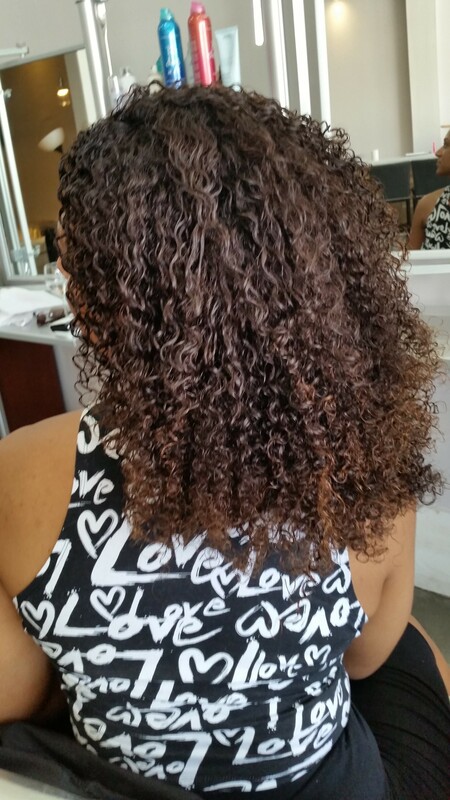 With curl creams and other gels I do get some shrinkage. I am still determined to get the same results. I cannot deny how awesome Ouidad products and techniques are – I just wish I had found them sooner. While Leah assured me I should only need a cut twice a year this will be determined by my combs ability to get through my curls over the next couple months. 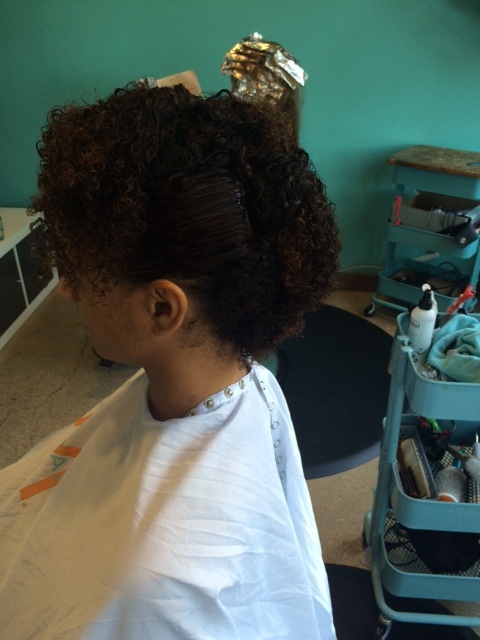 A few weeks later I did seek out a Ouidad stylist in Chicago for a wedding hair style. I found The Bird’s Nest Salon in Logan Square. I scheduled a Ouidad style (prices starting at $50). Imagine my surprise when I got a bill for over $100 after 1. being squeezed between clients 2. assisting the stylist in completing my hair 3. providing my own hair pins. While it turned out to be an issue of miscommunication – or what I call non-communication – I would certainly NOT recommend visiting this overpriced salon. I still have much love for Ouidad products and the Rake and Shake. 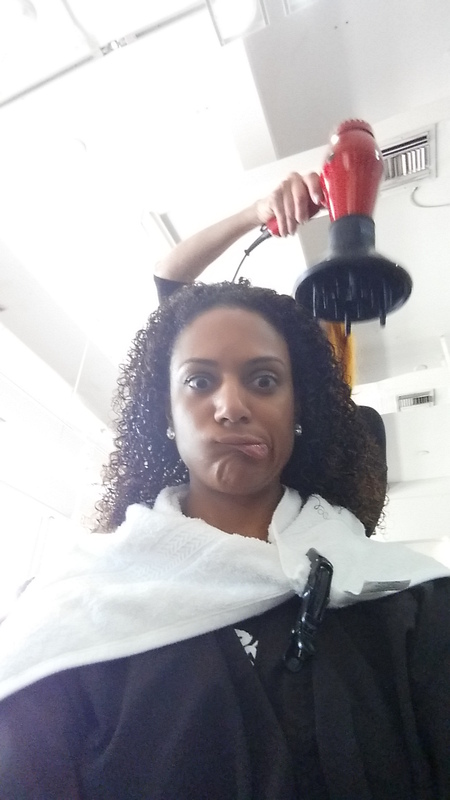 I just know that if the salon stylist who is certified doesn’t do a lot of curly clients they are quite slow. I suggest asking what they plan to do and how much you will be charged before the stylist begins. Prices will always vary in any salon by the amount of hair you have as well as the length. Ouidad curls all pinned up. Check out the pin up. I used combs on the sides to keep it slicked back tight but then used large open plastic pins to tuck sections of the hair, separating the front piece to style loosely. The best part about having the Ouidad style done before the pin up was having ready to go curls that lasted days after I took all the pins out. That is not ever the case any other time. I usually would need to wash and re-condition. Thank you Ouidad for all the lessons. I am with you on my love of Ouidad! I was lucky to find a stylist in Quincy that happened to know the technique! Unfortunately she has moved to Tampa. It changed how I feel about my curls! I’m with you on the time requirement, but I’ve figured out ways to lessen. I still use the Moisture Lock and Hydrafusion. I also use with DevaCurl and Redkin curl products. It is a process for sure! I took away that I have to make sure my whole hair has product on it and do NOT touch once all the product is in while drying, which is NOT easy!